art’otel London Hoxton is progressing its pre-opening construction timetable, with an anticipated opening set for 2023. Fusing architectural style and art-inspired interiors, art’otel London Hoxton will become the gateway to the cultural hubs of Hoxton and Shoreditch and is part of a £180 million development project that houses original Banksy artworks, which will be preserved and displayed for public viewing upon opening. 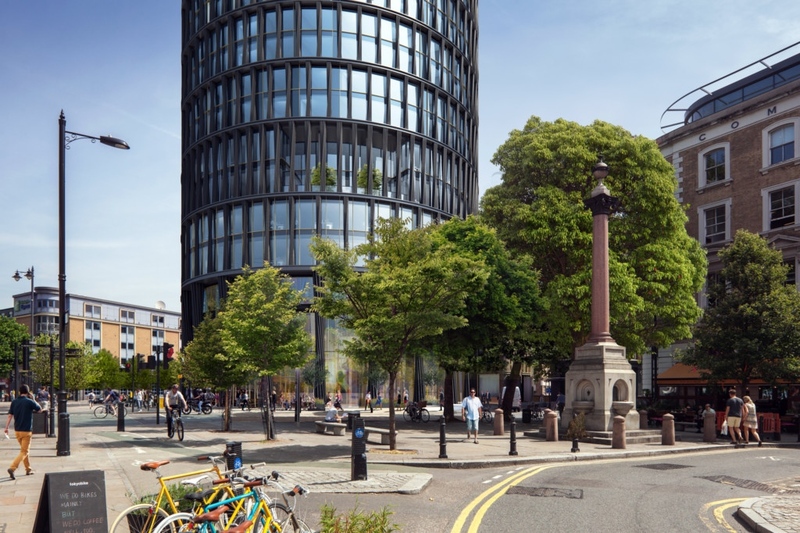 Following amended planning consent, the next phase of construction is expected to commence in the summer on the 27 floor-build, which will consist of 343 guest rooms and suites alongside five floors of office space. The top floors will offer a lounge, bar, gym and destination restaurant, all boasting dazzling skyline views. The lower ground levels will be reserved for gallery space and will play host to a rotating calendar of exhibitions, as well as cultural and artistic events supporting established and emerging talent at a local, national and international level. The ground floor will be used for hotel and separate office entry with escalators leading to a mezzanine for the reception and second restaurant. Four floors will be connected to the property and will comprise the back of house kitchen, gym, pool and sauna. Art has, and always will be at the heart of the contemporary brand, which redefines the traditional guest experience by encouraging visitors, residents and guests to live, work and breathe the creative, artistic process. art’otel London Hoxton takes its artistic direction from a soon-to-be appointed interior designer and signature artist, who together will design and curate a collection of works that will be exclusively exhibited throughout the property, including the guest bedrooms, public spaces and gallery. The designs will reflect the cultural influences of Hoxton and its vibrant community. Boris Ivesha, chief executive officer at PPHE Hotel Group, commented: “We are delighted to be expanding our pre-opening works for this flagship project and bring our wholly owned art’otel brand to an area of London which is known to be a leading cultivator of arts and cultural programmes at a global level.